"My short stay in Constantinople had whetted my appetite and the Orient was my most frequent dream"
Though the exotic, and sometimes scandalous, subject matter of his paintings attracted disapproval, there can be no doubt that Jean-Léon Gérôme was a technical maestro; a master of the spectacular who prided himself on a meticulous attention to picture detail. One of the most famous French painters of his generation, he can be credited with bringing about a transformation in historical painting. He was, however, subject to fierce criticism and controversy (mainly from Realists and Expressionists) who viewed his blending of academic painting with genre painting as falling somewhere between two outmoded schools. Nevertheless, Gérôme, whose pictorial worlds could certainly not be relied upon for historical accuracy, captivated a public that was won over by the skill and theatricality of his art. In his later career Gérôme reinvented himself as a sculptor, but he remains best known for his spectacular historical narratives that were made even more popular through the photographic reproduction of his images. Emerging as a force during the dawning of French modernism, Gérôme gained a reputation as something of a conservative dissident. Closely aligned to the "passé" (from a modernist's point of view) tropes of Neoclassicism, Naturalism and Orientalism, he antagonized the Parisian avant-garde community with his art and his vocal opposition to the rise of Impressionism, which he saw as unskilled and incompetent. Gérôme's numerous paintings of the Orient revealed at once his strength and weakness. His meticulous and precise images lent a veneer of authenticity to a fantasy of the Orient that was rendered complete and untouched. While this skill did not win over the elders of the art establishment, it proved hugely popular with ordinary art lovers who purchased reproductions of his art in substantial quantities. Though he predates the maturation of narrative cinema, his work has been described retrospectively as "cinematic". This description refers to a style of painting that creates powerful and overwhelming pictorial illusions of historical worlds in a style that comes close to photographic realism. Indeed, his paintings lent themselves to photographic reproduction with still copies of his work able to reach a broad public. 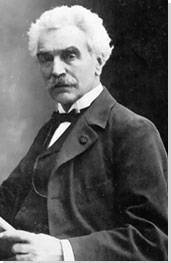 Gérôme was a founding member of the so-called Neo-Grec Circle. Formed in in 1847, it comprised of a group of young artists who wanted to bring a higher standard of detail and archaeological accuracy to Greco-Roman antiquity painting. Gérôme was sometimes referred to as "The Father of Polychromy", a name given to the classical discipline of painting onto a marble sculpture. His polychrome sculptures drew thus on references from antiquity but to which he added a sense of modern day realism. The son of a goldsmith and jeweler, Jean-Léon Gérôme was born in the French provincial town of Vesoul in 1824. An intelligent, studious child, he studied Latin, Greek and history at high school. He was taught drawing by Claude Basil Cariage, a Neoclassical painter and former student of Jean-August-Dominique Ingres. Indeed, a young Gérôme showed an impressive talent for art, and his teacher instructed him to learn from plaster casts and models which he had brought to Vesoul from Paris. 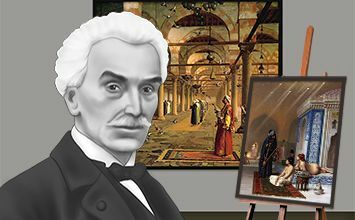 In 1938 Gérôme won his first prize for drawing, and his work caught the eye of a friend of the French historical painter Paul Delaroche. Interactive chart with Jean-Léon Gérôme's main influences, and the people and ideas that the artist influenced in turn. First published on 15 Mar 2019. Updated and modified regularly.